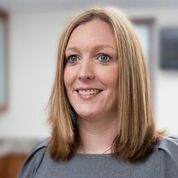 Earlier this month, we announced the appointment of a new Non-Executive Investment Director, Georgina Mitchell. A finance professional with several years of experience in the industry, Georgina is the newest addition to our team. Georgina’s background has focused predominantly on traditional finance services, investment management and stockbroking. She served as Head of Investment Services and member of the Operating Board at Redmayne Bentley for a number of years, and sees joining rebuildingsociety as a new, exciting challenge. We spoke to her to find out more. Georgina, thank you for talking to us today. What have you been working on today that we have interrupted? I am in the middle of preparing my presentation for the next FinTech North seminar, Women in FinTech. I’ve been asked to talk about myself: what it has been like being a woman in financial services and what lessons I’ve learned along the way. With it being about me, I’m putting together some slides of relevant but interesting images to give people something else to look at. Look out for the snake eating the alligator! How are you enjoying working with rebuildingsociety.com so far? It has been very exciting. As well as being asked to speak at Women in FinTech North, I’ve already been involved in some discussions about developing a new corporate relationship and I’m learning about the business all the time. How did the opportunity and collaboration come about? I attended a NorthInvest event with KPMG back in November and heard rebuildingsociety founder Daniel Rajkumar speak. I then learnt about FinTech North and went to the event in December, where I heard talks on the Innovative ISA and new issues of cryptocurrencies. It was a real lightbulb moment for me; they were products, services and processes that I understood well, just wrapped around different asset classes. I went to the next FinTech North event in January and got talking to Daniel. He could see that there was a lot of common ground, and it just went from there. What will be the main focus of your role? As a non-exec, I’m there to challenge the board and make sure they consider all the options when making strategic steps. As it’s a small business, I’ll also be involved in helping to implement that strategy, through developing corporate relationships and spreading the word about the products and services available, such as the Innovative Finance ISA. How important do you think FinTech currently is and will prove to be in the finance world of the future? Digital disruptors have been re-shaping the way businesses have to work in order to survive for decades now and financial services held out until the end, but the changes are here to stay. From online share dealing to peer-to-peer lending platforms, FinTech companies are delivering services that consumers are using on a daily basis, with new ideas coming up all the time. The biggest question is whether one day we’ll be able to pay for our online shopping with a cryptocurrency. I can see it happening, but not whilst the prices of currencies like Bitcoin are so volatile. To reduce volatility, you need to make it less speculative and to do that you have to normalise it, but how you go about normalising something that so few people understand is a challenge for anyone who wants to see FinTech move in that direction. What are some of the challenges you think the evolution of FinTech will face? I think the pace of technological change in recent times has taught us that creative ideas are not just fantasy; they can be reality. So whereas 20 years ago the challenge was to find people with the vision to invest in a new idea, that is no longer an issue. The new challenge is who their customer base is. The lack of education surrounding personal finance means that in general in our society there is a severe lack of understanding of financial services. Add a layer of technology to that and you have two massive hurdles to leap in order to find people who understand what you are trying to achieve – and understand enough to want to use the services. I know several traditional financial services professionals who could not explain what FinTech is. And, with new entrants into the same FinTech spaces, that limited pool of clients will become spread even thinner. Firms must aim to educate their potential customer base; dispel any myths and fears and keep the jargon internal. You mentioned that at FinTech North, you’ll be speaking about your experience in the industry. Do you think there is a gender imbalance in the FinTech field? And if so, is this something you think should be addressed? Women are under-represented in many industries, and the higher up the ladder you go, the worse it is. However, I have to say I have never felt that being female has held me back. It comes down to two things – your own personal attitude and the culture of the people you are working with. I know someone who believes she is repeatedly overlooked in favour of men and looked down upon by all her male peers. Her response is to try and ignore them in the office by refusing to make eye contact. What she doesn’t realise is that it is this behaviour that is probably causing her to be overlooked – not the fact she is female. Whether you are going to run a marathon or target a promotion, you need to have the right attitude to succeed. Culture is a bigger issue and one that should constantly be talked about, because it won’t happen without raising awareness. It’s a little like turning a tanker: the first push is hard, and there’s a lot of resistance, but you build momentum until you reach a tipping point and movement in the right direction becomes natural. I’m working with new asset classes so I need to get my head around those, but not just for my own benefit. I pride myself on being able to take complex information and express it in a language that the audience understands. By the end of the year I’d like to be able to successfully explain blockchain and cryptocurrencies to Homer Simpson! Sign up for this month’s Women in FinTech (North) event here, to hear from Georgina in person this Friday.